Shopping lies at the heart of Pontypridd’s popularity with residents and visitors to the county borough and this has been recognised in the full-scale regeneration for the town centre. Pontypridd Farmers Market June 2012-15Traditionally Pontypridd was the market town of the South Wales valleys and even today shoppers flock to the area every Wednesday and Saturday in particular to pick up a bargain or two in the indoor and outdoor market. With the passing of the years many well-known high street stores have also opened their doors along the main thoroughfare and offer top-quality goods at affordable prices. Whether it’s clothing, furniture, toys or electrical goods, there’s always something for everyone in the many welcoming shops. Pontypridd is also the place to visit your bank or building society, or maybe you fancy booking yourself a last minute holiday or weekend break? There’s plenty of travel agents too! For those who are thinking of moving house, then an estate agent is never far away either. The increased footfall of visitors in Pontypridd during the last year has been celebrated as although the country experiences difficult economic times, the town centre continues to thrive. OVERVIEWBut there’s more to Pontypridd than just the shopping. Over the past few years more and more high-class eateries and bars have opened their doors and welcomed afternoon and evenings crowds to the town centre. During the daytime a “cafe culture” of outdoor eating during the fine weather has given Pontypridd an entirely new atmosphere. Pontypridd’s reputation for top restaurants and bars continues to grow as a wider spectrum of entertainment venues establish themselves in the town. At night time the safety of visitors is of paramount importance too which is why a whole spectrum of agencies work together to ensure Pontypridd is a safe and enjoyable experience for all. So why not plan a full day of fun in Pontypridd? 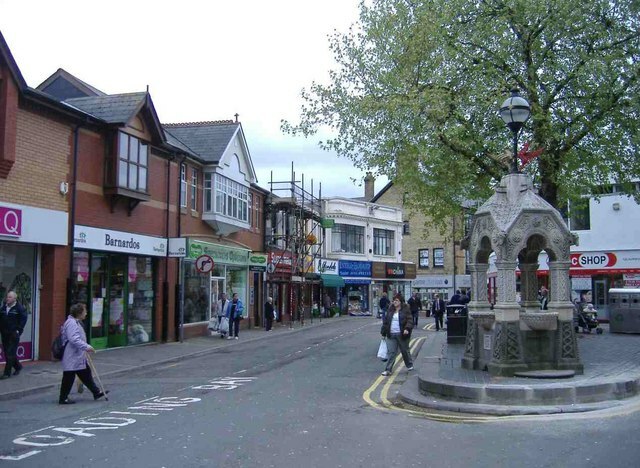 Enjoy the entertainment in Ynysangharad War Memorial Park, take your time to shop in some of the unique retail stores and afterwards enjoy an evening meal in one of the first-class eateries. Pontypridd is a complete experience for any resident or visitor alike.